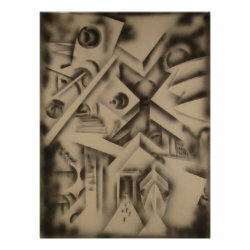 My first artistic passion was black and whites. The one thing that I always knew for sure was that when the painting was finished, I would have no idea what it was! Nevertheless everyone else always had ideas about what my paintings represented. It is always interesting to hear what others think is in my mind! Many of the original paintings in this section are currently available for purchase in Lima, Peru. I am not able at this time to ship internationally. You may, however, purchase prints of my paintings at my online art store at Gene Foltuz Art or at Fine Art America. All of them may be ordered in a variety of sizes. All of the prints in my store may be ordered on premium canvas as well as matte archival heavyweight paper, semi-gloss poster paper, or matte value poster paper. When viewing a print, click on "paper options." 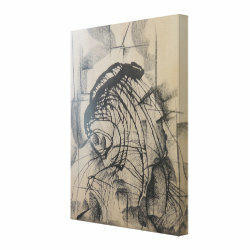 Additionally many of my paintings are available separately as wrapped canvasses. 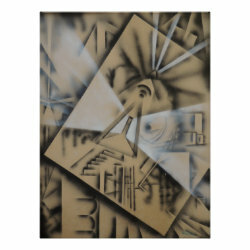 Many of my abstract designs can be purchased on an array of interesting products other than prints and canvases. 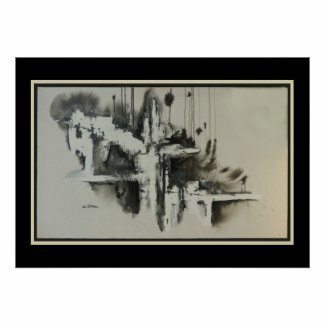 So if you're looking for something unusual for a gift - or want to own an intriguing piece of abstract art but don't have wall space to hang a print - check out the offerings at my other store at Elfin Art.